Alfalfa Health Benefits, Dosage, Side effects and Warnings. Alfalfa, Lucrene grass, Chilean clover, Buffalo grass. 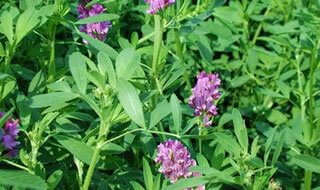 Alfalfa (Medicago sativa) is a deep-rooted leguminous perennial plant in the pea family Fabaceae. Alfalfa is widely cultivated as a forage crop in US, Canada, Argentina, France, and Southwestern Asia. Alfalfa plant is chiefly hay with woody and upright stems that is high in fiber. Alfalfa stems can grow from its crown up to 3 feet in height and shoots of stems grows rapidly. Alfalfa is grown as a crop because of its productivity. 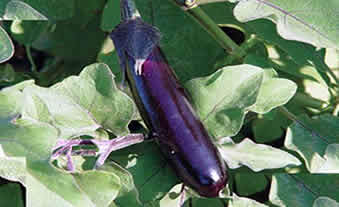 The crop can be harvested up to four times in one season. Alfalfa leaves are known to be rich in vitamins and minerals. Alfalfa leaves, which are alternate consist of three leaflets like those of a Red Clover. Occasional four or five leaves grows from the stems but not so common. The leaflets are rather narrow and sharply toothed in their upper part. Alfalfa flowers are purple about as small as a bean in size occurring individually. Other variety would bloom flowers that are from white and light yellow. Alfalfa is rich in nutrients, vitamins and minerals. Alfalfa contains vitamin A, vitamin B1, vitamin B6, vitamin C, vitamin E, and vitamin K. Alfalfa also contains protein calcium, carotene, iron, potassium and zinc. Alfalfa has a long history of medical usage and has a long list of folkloric health benefits for the following conditions. General health tonic. Alfalfa is used for its high nutrients and vitamin content to improve body condition and overall health. Diabetes treatment. 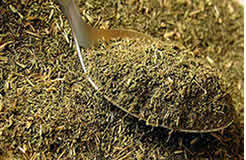 The tea prepared from Alfalfa is used to lower the blood sugar levels in diabetic patients. The sprouted seeds are also included in the diet. Liver detoxification. Alfalfa tea and seed sprouts are used to detoxify the liver improve its function and overall helps the body to remove toxins. Atherosclerosis. The leaf extract from Alfalfa helps to lower the bad cholesterol level in the blood thus it prevents the accumulation of plaque within arterial walls. Cancer prevention. Alfalfa leaves and seeds are used to prevent and treat cancer. Ulcers. An infusion of leaves and seeds from Alfalfa is used to treat stomach ulcer. Stomach Problems. The sprouted seeds of Alfalfa are used as folkloric remedy for various stomach problems such as constipation, diarrhea, indigestion and flatulence. High Blood Pressure. Alfalfa leaf tea and the leaf extract have been used to lower the blood pressure level. High Cholesterol. Alfalfa seed sprouts are included in the diet to help curtail the increase of bad cholesterol in the blood. Respiratory problems. Alfalfa is thought to strengthen the respiratory system and helps to improve the symptoms of asthma and used to treat coughs and colds. Kidney Diseases. Alfalfa leaves as it is chewed is thought to help improve the function of kidneys and are used to treat kidney related diseases. Alfalfa tea is used to dissolve kidney stones. Antibacterial and Anti fungal activity. The sap of Alfalfa is topically applied over skin infections to kill bacteria and fungus. Acid Reflux. Tea prepared from Alfalfa leaves are used to improve the symptoms of acid reflux by limiting the excretion of hydrochloric acid in the stomach. Osteoporosis. Alfalfa is known to be rich in vitamin K that helps to strengthen the bones and combats the symptoms of osteoporosis. Hematoma. The juice extracted from the leaves of Alfalfa is used to treat blood clotting and hematoma. Anorexia. Alfalfa is known to improve appetite and stimulate digestion. This property is used to alleviate the symptoms of anorexia. Urinary Problems. Alfalfa acts as a diuretic that improves the flow of body fluids and helps to combat urinary related diseases such as swelling and fluid retention. Anti-inflammatory. Alfalfa seed tea has long been used to treat arthritis, rheumatism, gout and other muscle and joint inflammations. Anaemia. The nutrients and minerals found in Alfalfa are generally used to help the body absorb iron and increase the red blood cells that is a condition in anaemia. Pain reliever. The dried leaves of Alfalfa is used to create tea that is commonly used to relieve joint and body pains such as arthritis, gout, rheumatism, bursitis, sciatica, toothache, headache, etc..
Heart Disease. Tea prepared from Alfalfa leaves and seed sprouts have been used to treat and prevent hear diseases. Hair loss. The juice from Alfalfa is taken once a day to promote hair growth and stop hair fall. Alfalfa is also used to counter male pattern baldness. Skin pigmentation (Vitiligo). Alfalfa has also been used to improve the condition of vitiligo – a condition where patches of skin pigmentation occurs. Stress reliever. Alfalfa tea is used as home remedy to counter anxiety and stress and to provide relaxation. Female hormonal disorder. Alfalfa is also used as a plant sourced estrogen that counter symptoms associated to hormonal changes in women. Alfalfa’s cholesterol and triglycerides lowering activity for hyperlipoproteinemia patients. Fifteen patients with hyperlipoproteinemia (HLP), were given 40 g of heat prepared alfalfa seeds 3 times daily at mealtimes for 8 weeks with otherwise unchanged diet. Results have shown that although the body weight slightly increased, the lipoprotein (LDL cholesterol has decreased to as much as 30% while 26% of the total cholesterol level. After cessation of treatment, all lipoprotein concentrations returned to pretreatment levels. This study suggests that alfalfa seeds can be added to the diet to help normalize serum cholesterol concentrations in patients with type II HLP. Source: Atherosclerosis Journal, May 1987. The ethyl acetate extract of alfalfa sprout ameliorates disease severity of autoimmune-prone MRL-lpr/lpr mice. The effects of aqueous extract of alfalfa on blood glucose and lipids in alloxan-induced diabetic rats. Where can I get or buy Alfalfa? Alfalfa plant is widely cultivated and can be sourced through local horticulturist. Alfalfa leaves, flowers and seeds can be harvested from fields. Alfalfa leaves and flowers are also available in some health stores. Alfalfa is prepared as tea, the seed sprouts can be eaten mixed with meat and other vegetables. Alfalfa is also commercially prepared in powder, tincture and capsules taken as supplements. They are available in most fitness and health stores. Online Amazon listed: Now Foods Alfalfa 500 Tablets . 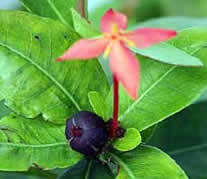 Dried leaves and seeds are more potent. Use 1 teaspoon for every cup of water. Alfalfa juice. 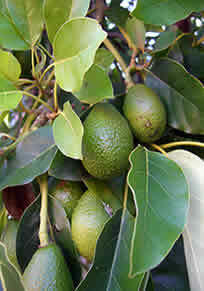 The juice can be extracted by pounding and straining or 2 to 3 fresh leaves can be chewed by mouth. Seed sprouts. About two tablesppons of seed sprouts can be boiled in water and consumed or can be mixed with other food for ingestion. Alfalfa leaves are safe for most adults, however the seeds should not be taken for long term. Allergy. Alfalfa have been reported to cause allergic reaction to sensitive people. Alfalfa contains Vitamin K that may act as an anticoagulant. it is thereofre advised to avoid using Alfalfa when taking coagulant drugs. 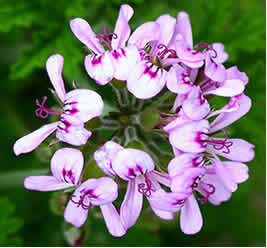 Alfalfa contains canavanine, an amino acid that is known to aggravate symptoms of auto-immune diseases such as lupus. Excess intake of Alfalfa can also cause breakdown of red blood cells which maybe serious. Alfalfa possesses Immunosuppressive action. Therefore, avoid taking corticosteroids (eg, prednisone) or cyclosporine with Alfalfa. When taking medications for diabetes, hypertension, heart problems, etc., alfalfa may couter-act or aggravate its effectiveness. 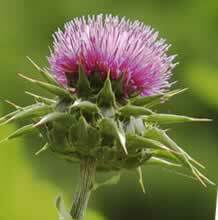 It is advised to consult your doctor before using this herb. Pregnancy and Breast feeding. There is no sufficient studies done to investigate the adverse or side effects of Alfalfa consumption during pregnancy and breast feeding. It is recommended to avoid its use.